Most gardens, even small ones, can usually accommodate a hot tub with ease. Lots of our customers at Kiwi Spas have relatively small gardens and still manage to find the perfect spot for their new hot tub. 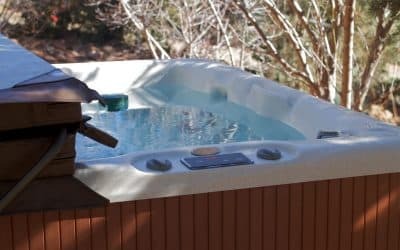 All you really need is enough room to safely get into and out of the hot tub, a strong level base and access to an electric point and water supply. And, with a little imagination and a bit of effort, you can create a beautiful area where you and your friends and family will be able to enjoy your hot tub for many years to come. You want to be able to enjoy relaxing in your hot tub in privacy all year round. Remember trees and bushes that bloom in Summer may offer no privacy from the neighbours in Winter when the trees are bare. A sturdy 5ft closed board wooden fence provides great privacy all year round and you don’t usually need planning permission to erect a fence this high. If there’s already a lower, but good quality fence between you and the neighbours, it may be more cost effective to add a higher screen using bamboo or something similar. If you have an existing patio or decking area, then this is the perfect spot for your hot tub or swim spa. Make sure the area is completely level and your hot tub is sitting on a solid, strong surface. If you need to create a new electricity point, always use a qualified electrician. If your garden has a slight incline, make a feature of this by creating a terraced garden, with your hot tub taking centre stage on one of the flat levels. All hot tubs and swim spas need to be placed on a strong, level base. If you haven’t got a good quality decked area or patio in your garden, you can create a level, concrete base big enough to accommodate your hot tub. Once you’ve chosen the right height fence or bushes to provide the level of privacy you want, think about adding pot plants and garden furniture to improve the setting. Decorative benches, soft furnishings and outdoor mirrors create stunning outdoor spaces and a great view for you to enjoy as you relax in your hot tub. Even if you only have a small garden, you can still bring colour and interest to the space with handing baskets and hardy plants that look great all year round. 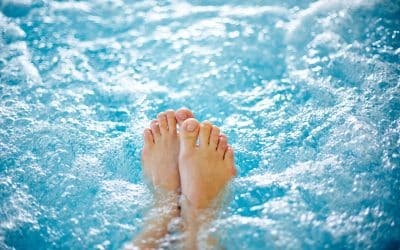 If you are considering buying a hot tub or swim spa but you’re not sure if you have enough space, give us a call and we’ll be happy to talk you through your options. 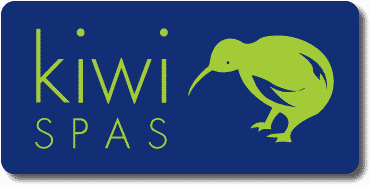 Kiwi Spas is the South East’s leading independent retailer of top quality hot tubs and swim spas. Based near Worthing in West Sussex, we cover East and West Sussex, Hampshire and Kent. Buying a hot tub or swim spa is a fairly big decision. After your home and cars, it’s probably one of the most expensive purchases you will make. 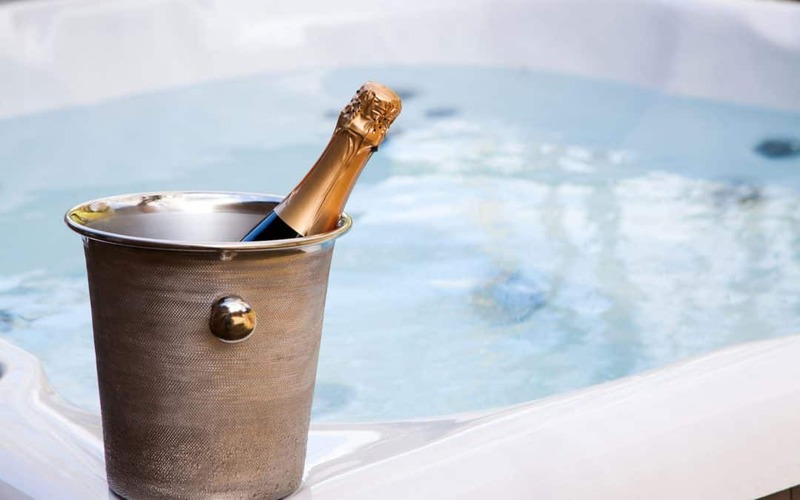 At Kiwi Spas, our customers have been telling us for years why they are delighted they took the plunge and bought a hot tub and why they’ve never regretted their decision.